View the gallery / 7 pictures and 4 videos. When walking in a street on the daylight, wardrobe choices usually end with decision on weather or not to wear a coat. 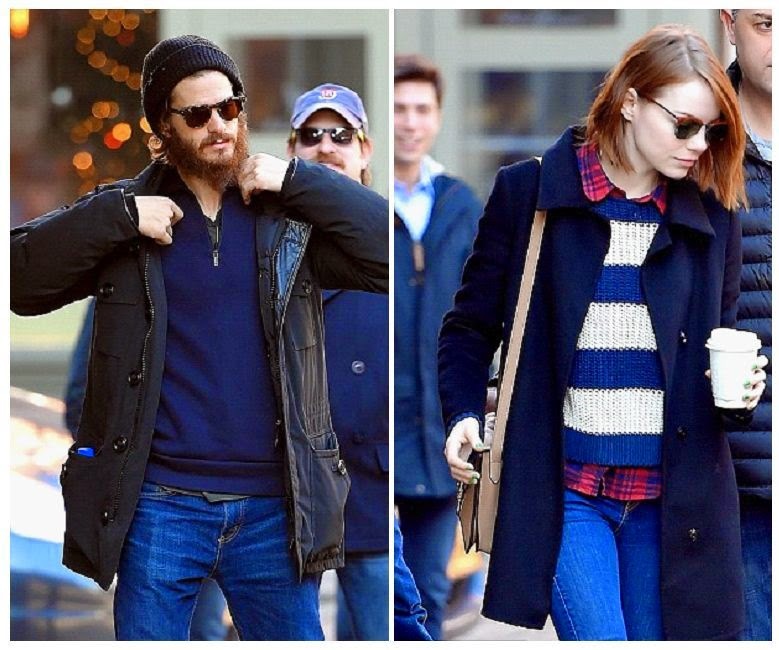 And with New York currently experiencing on Saturday, December 27, 2014, Emma Stone made the wise choice to dons a matching blue of coat, clothes with red shirt on inner, Jeans and brown boots. The 25-year-old was seen strolling so romantically with boyfriend, Andrew Garfield as she holding a coffee cup alongside a shoulder bag. Accessoring her short style with a pair of sunglasses, the actress kept her make-up light with a pair of ray ban to showcased her flawless skin. Well, coincidentally, the country's internet is down again! 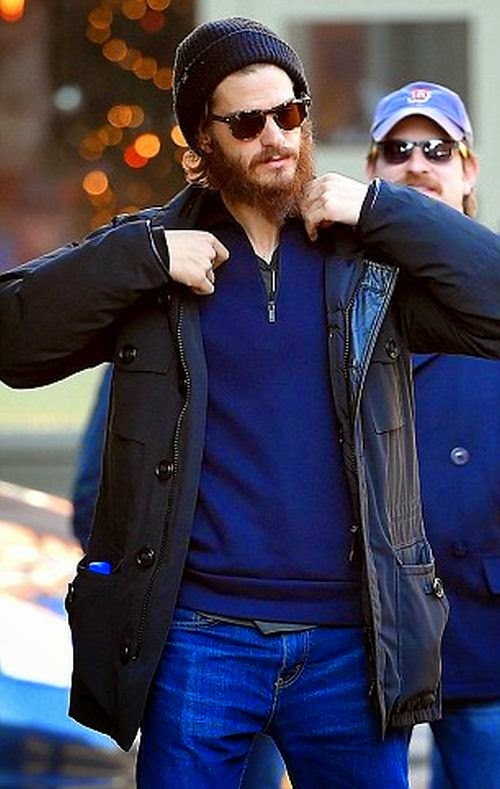 Cause maybe, the ex-Spiderman actor released a statement by saying: Some one skipped the airport's security checkpoint!! !